Stone-built cottage with riverside patio on the banks of the River Glaslyn, situated in the pretty village of Beddgelert and surrounded by mountains in the heart of Snowdonia. 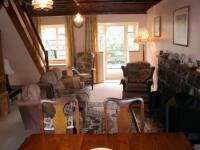 Provides accommodation for up to 6 people. 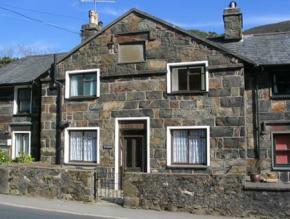 A great base from which to explore Snowdonia, and less than 5 minutes walk from the centre of the village (amenities include a store, a post office, three pubs, several restaurants and cafes, and an award-winning ice cream parlour).